Virtuous Mabel rejects the improper advances of a villainous cad. The furious villain and his henchmen then seize Mabel and chain her to a railroad track. Mabel’s anxious boyfriend turns for help to the great Barney Oldfield, who jumps in his racing car and speeds to the rescue. A young woman who works mending fishermen’s nets is engaged to be married. But her fiancé has an old love who refuses to let him go. Further, his former girlfriend has a brother who is willing to use violence to protect his sister’s honor. 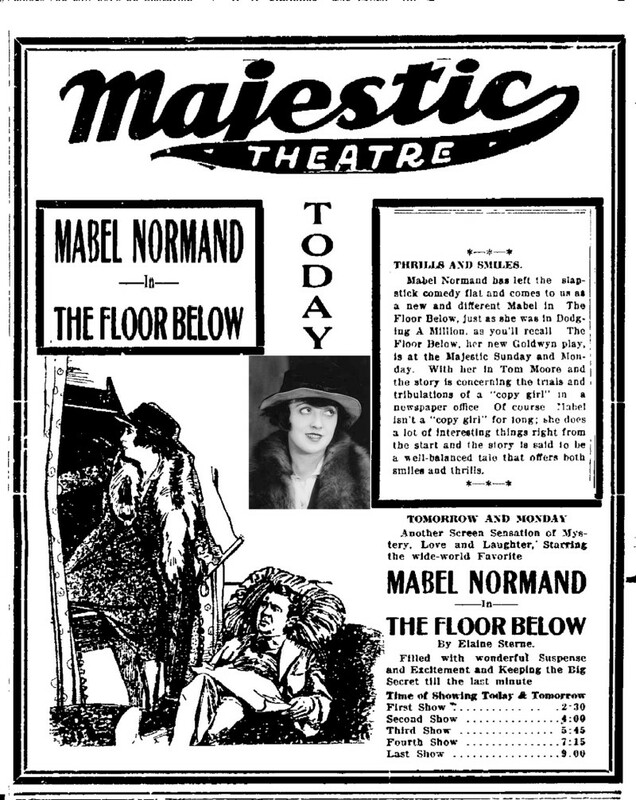 In her second last film, Mable Normand, the queen of silent comedy, teamed with Creighton Hale as jewel thieves who crash a society party. Eugene Pallette plays the dumb detective trying to catch them and Oliver Hardy has a small but funny role as one of the guests. Professor Smelts the band leader gets into a romantic rivalry with one of his musicians over the affections of a pretty girl.